Liczba stron: 124 Jest to ujednolicona liczba stron, która ułatwi Ci porównanie długości książek. Każda strona Legimi to 200 słów. Opis ebooka How To Create a Wealthy Blog - Tiziana M.
Opinie o ebooku How To Create a Wealthy Blog - Tiziana M.
Fragment ebooka How To Create a Wealthy Blog - Tiziana M.
What Others Think About Your Blog? Decide what type of Blog you want to build. Develop a Name and Image That PeopleWill Remember. Does Your Brand Need To Be Relevant to Your Content? Everything You Need To Know From A To Z! The use of this book does not guarantee whether you become successful or not, that is entirely up to how hard you intend to work and apply yourself. If you have a budget that is very small or zero, blogging is a great way to get started making money online. What is a blog? A blog is a simple web page that anyone can set up in minutes. People use them as journals, diaries, and sales pages, like you will learn to do here. Blogging has become very popular lately. For one thing, it’s free. For another, you don’t need to have any technical skills what so ever to get started. If you can read and write, you can blog. A good working definition of a blog is simply a journal or newsletter that is frequently updated and intended for the timely reading. It often provides opportunities for unfiltered and immediate feedback, sports an informal or even partisan attitude, and is written in a more personal style than traditional press outlets. A blog is sometimes called web log or weblog. It is a type if online journal or diary, often including personal comments as well as web links and images. Many people keep a blog as a type of personal creative exercise, but you can easily use this popular online type of writing to market your business. Blogs are very popular right now and they can be a great and inexpensive way to contact more customers. Blogs come in all shapes and subjects, from the maunderings of troubled teen souls to displays of classical photography to breaking news and commentary. They can be online journals, locked with a password shared by a few trusted friends, or they can be page after page of source code, sharing useful and free computer programs with the world. A blog may be an online journal tangential to a company’s main business, where users of a company’s products give feedback and ask for help. Blogs can be hosted by single individuals, shared by teams, or produced by entire companies. They may be hosted on a dedicated blog server using fancy templates or lovingly hand-crafted in HTML on a page that resembles a bulletin board. newspaper does not view itself as any different from what it always was. Trackback- other sites can be linked back to your blog Permanent link- every article that you write has a URL Comments- this allow readers to post comments on your blog. A Blog for profit is made up of three major components: a supplier, buyers, and the products for sale. But a blog in many cases differs from the average business because you are bringing together two sets of customers and delivering two sets of products. And you’re not even selling the main item you produce. Sound confusing? It’s really not. Let’s take a look at the component parts and illustrate just how simple it is. and the CEO of your business. If it weren’t for you, the blog wouldn’t exist. Because of who you are, what you know, and what you do, it can thrive. The second component is a buyer, a customer. While the vast majority of your customers will be your readers, other customers will include companies that pay you to feature their links and advertisements on your blog. “Traffic” (those millions of readers out there who care about what you say) is the lifeline of your site: you’ve got to find them and bring them in. Once they are there, your advertising customers will pay for access to your reading customers, and your reading customers will pay for your information and merchandise. The final component is a product. Like all businesses, yours can’t exist without a product to sell. But what do you sell when you’re giving your opinion away for free on a blog? The first product you sell is yourself: your opinions and your expertise. Without selling yourself to your readers, you will have no customers. They may not always pay you directly (though we’ll see that in many cases, they will) but if they don’t buy what you’re saying, they will not buy anything else. The second product you sell is your space. You lease it to advertisers who will pay you to put information in front of your millions and millions of readers. Whether text links or flashing popup banner ads, your advertisers will pay you for a small part of your readers’ attention. The final product you sell is your merchandise. With a properly-branded name and a reputation for excellence, your readers will purchase coffee mugs, t-shirts, bumper stickers…anything you can imagine. Make your blog visually exciting. Choose an attractive background color and provide photos or images. Consider sound. Develop your blog as you would a web site, with the same visual appeal. Some bloggers even add video and sound to their blogs. There is no need to spend many hours composing art works, but know that simple text on a white background may simply not draw as many readers as you like. Make sure that your customers know that your blog exists. Providing some targeted advertising on the Internet is not hard. Try some link exchange programs with web sites, blogs, and ezines that have similar content to your blog. In many cases, simply providing a link to another web site can convince that web master to provide a link to your blog. 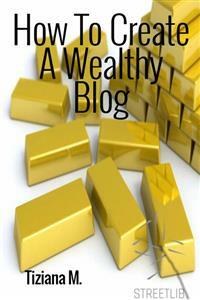 .Blogs have increased popularity over this past months. Many people have started to create their personal blogs to express their thoughts and feelings. Internet companies have also started their blogs to inform consumers on the latest product news and reviews. One of the first steps you will want to take when marketing using other blogs is to find out what others bloggers and online writers are saying about your company and your blog. Other people’s and companies’ comments are read by readers and potential customers, too. Many blogging software packages allow you to search for links to your blog or company website in other people’s blogs. You can also run a goggle check on your blog name, company name, and URL addresses to see what others are saying about you. Regularly checking online to see what is being said can help you get a sense of how your efforts are working. Remember: blogging is a community effort, with links in other blogs and comments in other blogs affecting how readers see you. You need to keep track of how you are doing to understand how your online presence is affecting your business. A blog is nothing more than a container into which we place content. Content is so critical to the success of a blog, that we are going to address it first and look at it in isolation from all of the other traffic-producing strategies you can implement. they expect. Not coincidentally, it’s also going to be a theme you love and will not be tempted to stray far from. Because there are literally millions of blogs available, successful blogs reach one kind of reader, and they do it well. The reason is obvious: a reader who might share your interest in model trains may not share your love of fine wines. He may not care about your vacation in Paris. Unless he’s a personal friend, he may not care about your new car. That means you’re going to have to pick a subject and stick with it. A good starting place is the following list of popular blog categories: political, spiritual, society/culture, rant, business, hobby, technology, art, news, reference. And is this content actually useful? The first question is possibly the most important, but also the most debatable. If your site does not contain unique content (content which has not already been spidered by search engines) it more than likely will not be ranked highly. Additionally, if your unique content is in video format or in any other language other than HTML, search engine spiders might not be able to recognize it as content at all. and, possibly, will not be able to factor it into ranking algorithms. So when you look think about adding content, consider looking for good sources of unique textual content, such as articles written by ghostwriting agencies from Guru.com or elance.com.